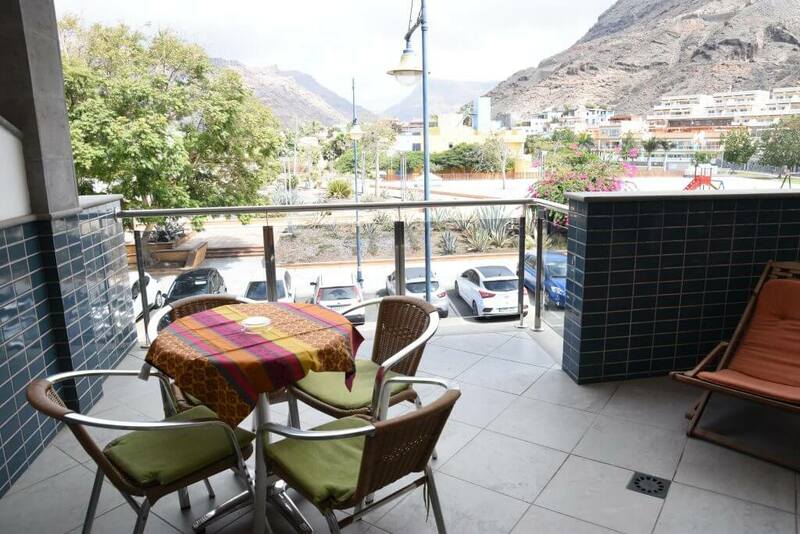 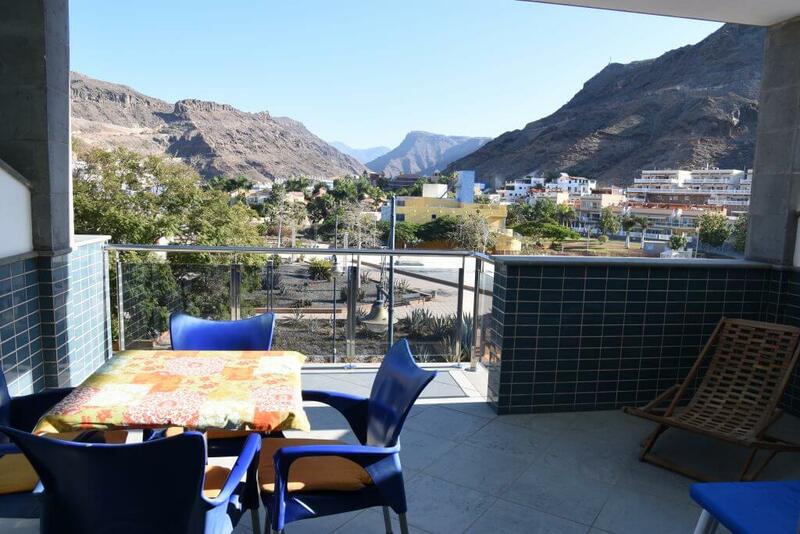 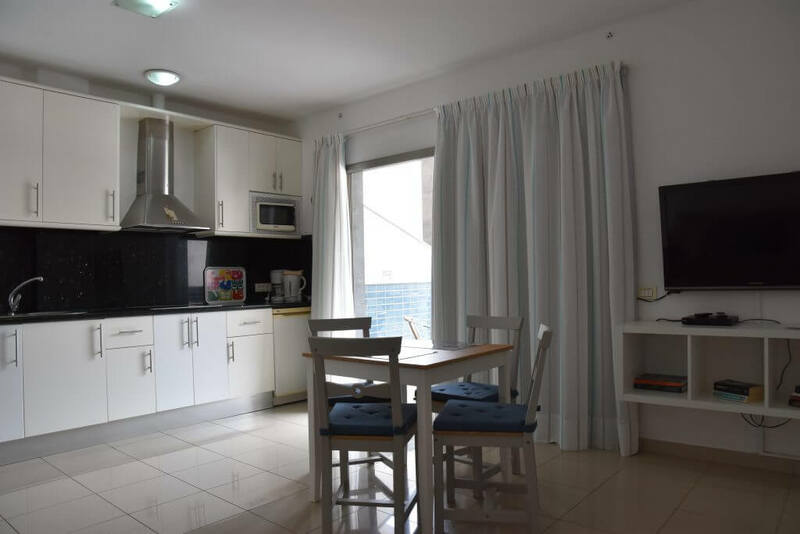 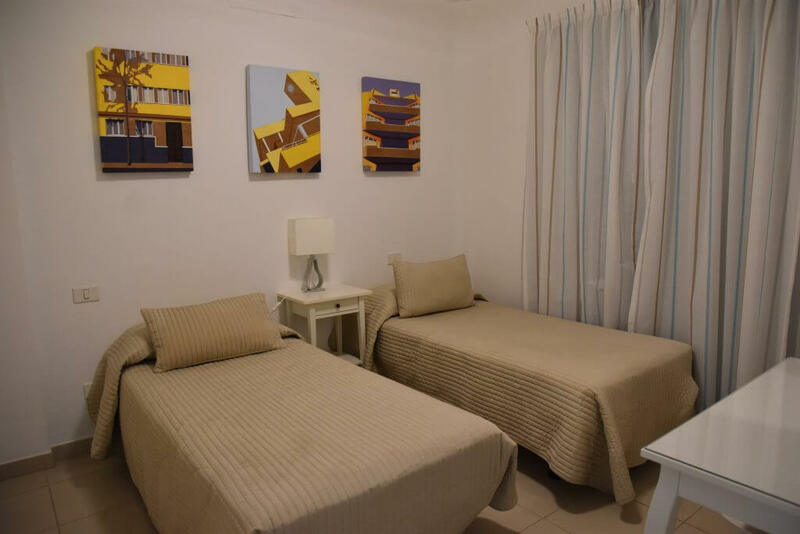 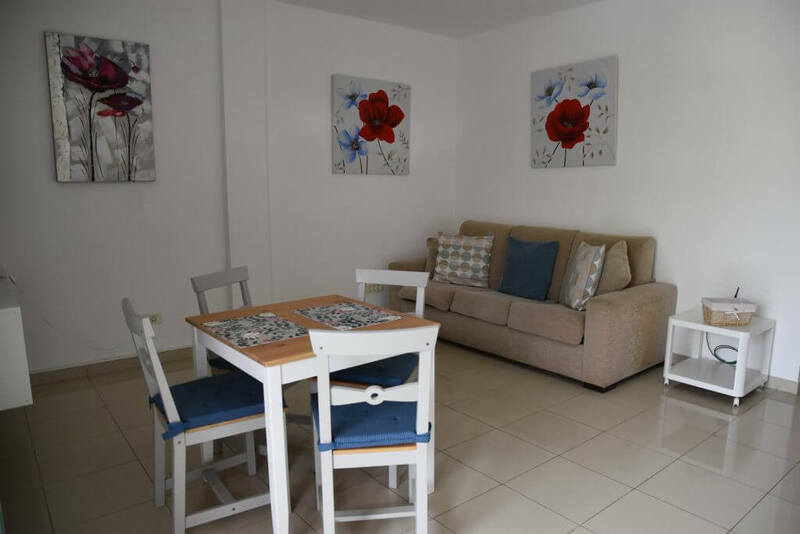 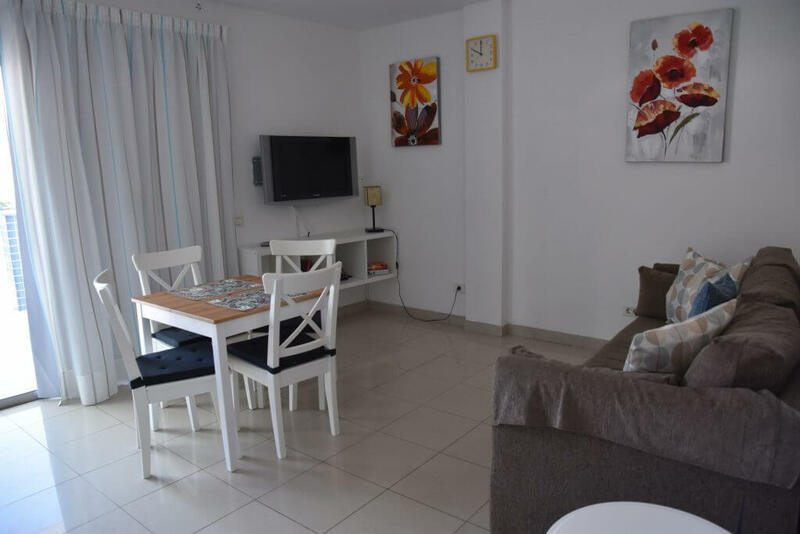 Very modern 1 bedroom apartment with a big terrace with beautiful views into the Mogan valley. 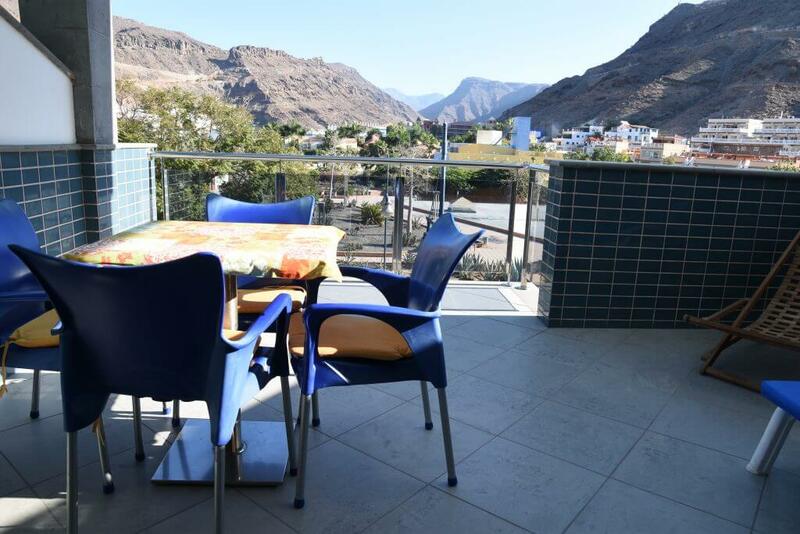 Comes with a communal roofterrace with sunloungers, table and chairs. 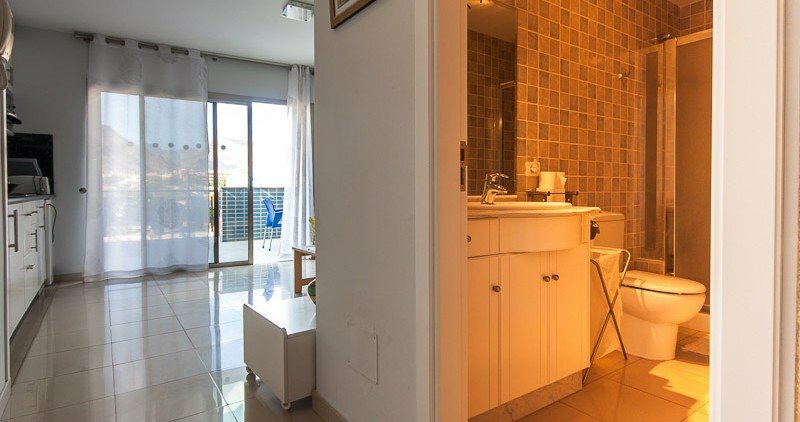 The apartment has 2 single beds and a walk in shower.